Can someone tell me what do آپ truley think. Kenya West wants to take MJ's عنوان as the King of Pop he's not pop he's hiphop. The world should let Kenya know that MJ is the only King of Pop and no other artist should ever take his place. Tell me what is your پسندیدہ Michael Jackson dance video? Mine is Thriller and Remember the time. Sami was now 43 years old, lonely, wanted michael back, and wanted children. Was god going to let her and michael get married and be together یا will sami have to be lonely forever? Sami was 27 years old and a huge MJ پرستار and she always wanted to go to one of his tours. She also wanted a boyfriend beause she was so lonely. What she didn't know is that god had a plan set in motion. She was a zookeeper. The famous actor spoke again about Michael Jackson, saying that the king of pop is an angel. In an earlier interview had کہا it wants the return of the سٹار, ستارہ as an angel, because he had tremendous influence in the world. Characteristics told British GQ: «It is a great loss for us and even pray to return. We owe thanks to the Creator to send us an angel, yet like Michael. Because if it does not, we will lose مزید than a man. " 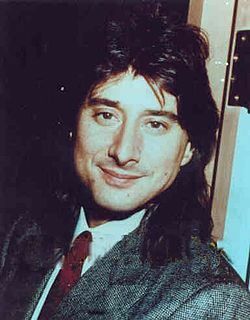 Former Journey frontman, Steve Perry, was a featured vocalist in the 1985 موسیقی video, "We Are The World"